Step into quality! 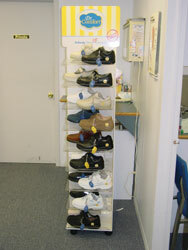 Total Foot Care proudly carries a wide selection of Diabetic footwear. You'll find everything you're looking for when you stop by and let one of our professionals assist you. If you have diabetes the health of your feet may depend on the quality of your shoes. 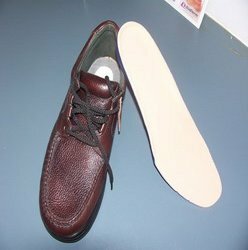 Shoes that are improperly fitted or are causing stress on a certain area of your foot can lead to blisters, calluses, ulcers, and in extreme cases amputation. You can help prevent any serious complications by getting the right footwear. Let our experienced staff assist you with finding the right shoes for you. Call today for more information! 586-247-3983 or 248-651-0008.